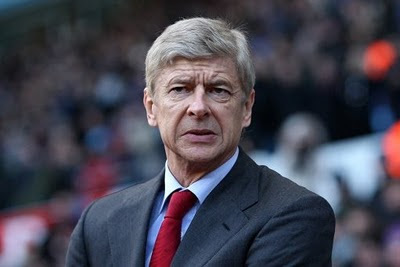 After yesterday's victory over Fulham, Arsenal manager Arsene Wenger spoke with the media. "It was a combination of touch, intelligence, special talent and calmness as well. "He needed to be patient to finish on both occasions and he did that very well. "I'm happy because he had a game that was, at the start, only based on coming to the ball. "But now he has more variation in his game: turns, runs in behind without the ball, and as well coming to the ball and taking it to his feet. "So his game is improving and he is, of course, more efficient." "It's always difficult to compare. But what is important when you are a manager is you want to get the best out of a player and I always was a strong believer in him. "Many people questioned me when I took him here but he is showing that he is an exceptional talent and I think there is more to come from him." "He was a bit too much attracted by the ball and we wanted him to do more once off the ball, go in behind without the ball, because we have many players who can keep the ball." "We are good enough to go on, that is for sure. As you see, every single team struggles to be consistent. "At the moment, we are where we are despite having lost three games. "Today, you could see again every game is a cup final. And if you're not completely up for it, you don't take the three points. "We have the spirit, we have the quality but we face tough opponents. And it will be down, as I have said already many times here, to consistency. "We are far from winning the championship yet. "The only thing I can say: we have the desire and the spirit to fight for it. Will it be good enough? We'll have the answer in May."